I am excited to announce that Hourly News for Mac is now available outside of the Mac App Store as a standalone app! 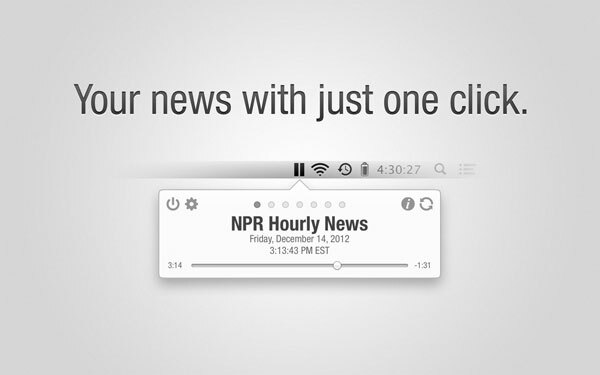 For several years now Hourly News has been available for sale on the Mac App Store and has become one of the most popular and highest rated news apps out there. But not everybody wants to use the Mac App Store to buy apps, so we have created a standalone version that you can download and try out right now! There is a free trial of 7 days where you have full access to the app. If you like it after the week trial, you can simply purchase a license at that point straight from within the app! If you have hesitant about buying Hourly News, or were waiting for a version that you could try before buying, head over the Hourly News site to download a trial copy, today! Hourly News is a simple yet powerful app that plays the most recent news updates from multiple sources with just one tap.